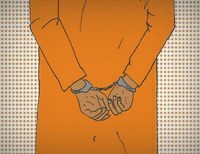 Jails continue to adopt video visitation, often at the expense of in-person visits. What does current psychological research say about the key differences between video and in-person communication? As we reported in January 2015, jails are increasingly adopting video visitation services and 74% of county jails that implement video visitation then ban in-person visitation. As this harmful trend continues to grow, we decided to dig into the research and look into the key differences between video and in-person communication. Video communication increases the formality of the conversation, regardless of the relationship between the two communicators, as evidenced by longer utterances with fewer interruptions.1 This means people are more likely to be talking at one another when they are using video technology rather than having a more natural conversation. 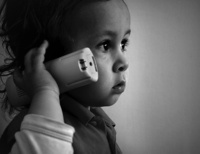 The process of establishing trust takes longer via video communication than in face-to-face conversations where almost spontaneous trusting behaviors can occur.3 This is especially worrisome since video technology is sometimes used between incarcerated people and doctors (tele-medicine) as well as between incarcerated parents and their young children. The absence of mutual eye contact and a shared visual field disrupts communication and decreases conversational fluidity, which in turn limits the ability to discuss more complex topics and concepts.4 This can be even trickier with correctional video visitation where the visitors are able to see inside the housing units or pods of cells. As you can imagine, this can be distracting. The current psychological research is clear: in-person and video communication are not equivalents. However, more research needs to be done that specifically compares the effects of correctional in-person visitation and video visitation. This research should make sure to include factors such as eye contact and the ability to build and maintain trust over video. What we already know is that in-person visits have long been crucial to incarcerated people’s rehabilitation process and that families have been frustrated with the shortcomings of video communication. Too many jails are ignoring psychological research and correctional best practices when they replace in-person visitation with video visitation. 1 Doherty-Sneddon, G., Anderson, A, O’Malley, C., Langton, S., Garrod, S., and Bruce, V. (1997). Face-to-face and video-mediated communication: A comparison of dialogue structure and task performance. Journal of Experimental Psychology: Applied, 3(2), 106. http://dx.doi.org/10.1037/1076-898X.3.2.105. 2 Doherty-Sneddon, G., et al., 122. 3 Gill, A.J. and Gergle, D. (2008). The Language of Trust Establishment in Face-to-Face and Video-Mediated Communication. Conference Papers — International Communication Association, 4. 4 Gill, A.J. and Gergle, D., 22. 5 Gill, A.J. and Gergle, D., 27. 6 Gill, A.J. and Gergle, D., 27.